NYC, 02/06/2019, 6:00PM. Emmett Till: Meaning and Memory. 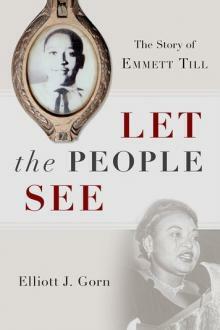 A lecture by Elliott J. Gorn, the author of Let the People See: The Story of Emmett Till (Oxford University Press). Gorn delves more fully than anyone has into how and why the story of Emmett Till still resonates, and always will. Till’s murder marked a turning point, Gorn shows, and yet also reveals how old patterns of thought and behavior endure, and why we must look hard at them.